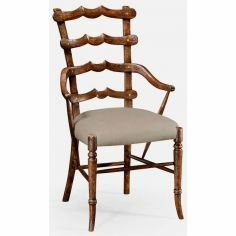 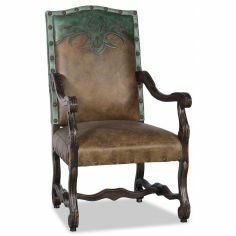 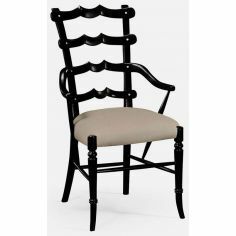 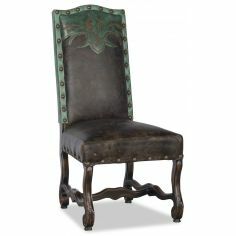 Decorative Leather Nail head trim Chair. 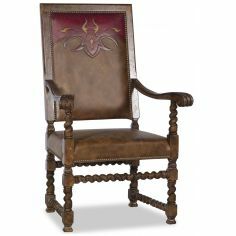 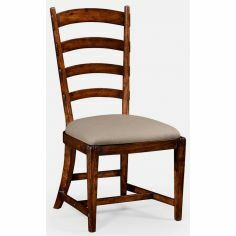 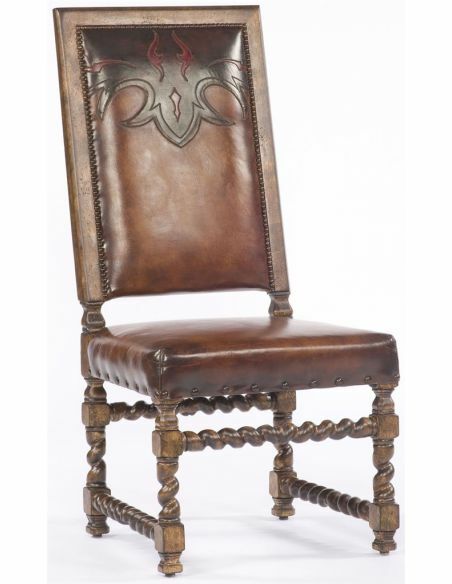 This western style chair features an authentic cowboy look. 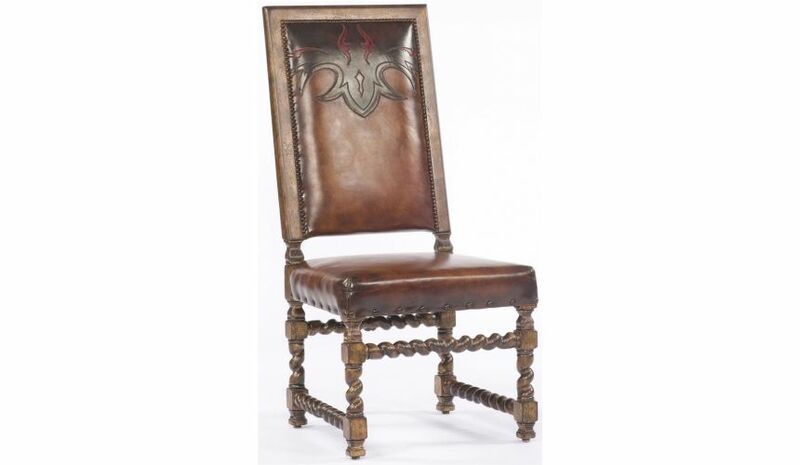 Decorative Leather Nail head trim Chair. 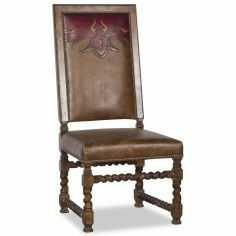 This western style chair features an authentic cowboy look. 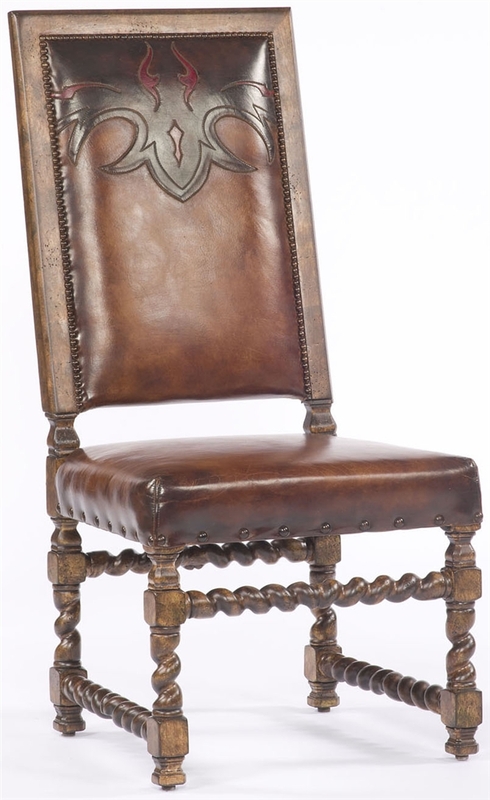 Seat and back are in beautiful brown leather with wood trim, twisted carved wood legs and an engraved design on the seat back.